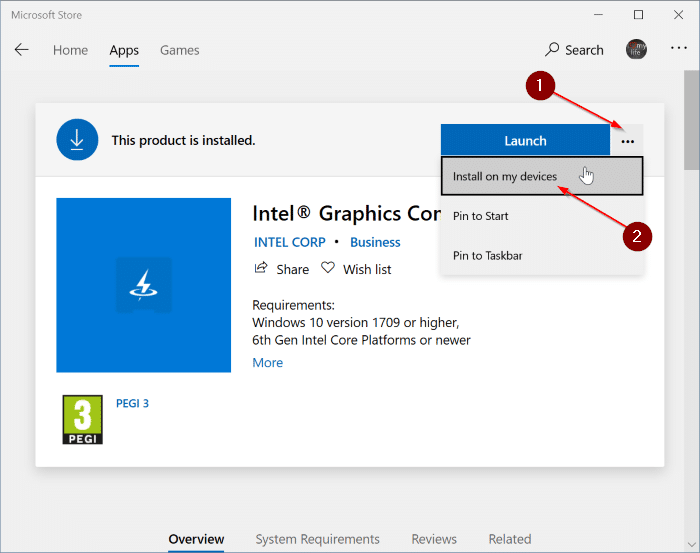 Installing an app from the Store in Windows 10 is easy. You just need to open the app’s page in the Store app and then click the Get button to download and install the app on your PC. 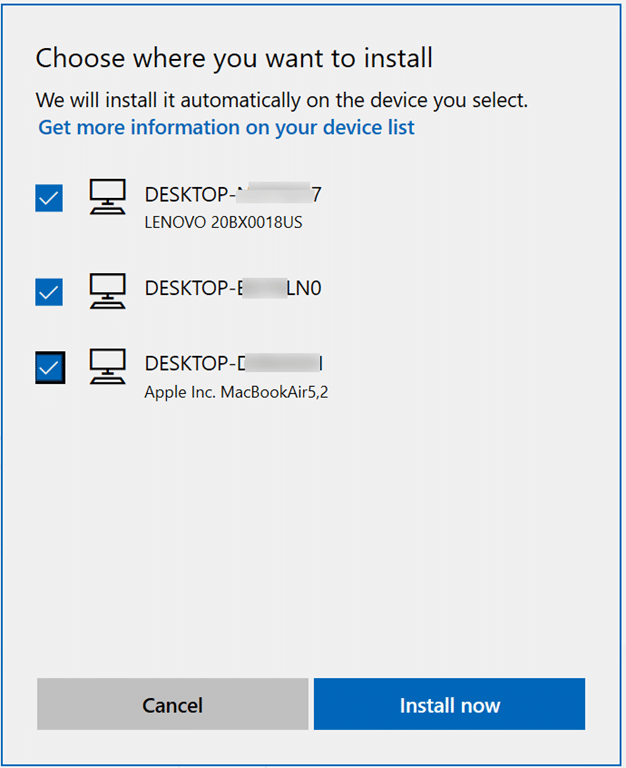 But what if you have multiple PCs and want to install the same app on all your devices? The Store in Windows 10 now allows you to install an app on all your devices simultaneously. This means that you don’t need to manually install an app on all devices. Install on my devices is a new feature available in Windows 10 to install apps from Store on all your Windows 10 devices simultaneously. In order to use the Install on my devices feature in the Store app, you must have signed in to the Store app on all PCs on which you would like to install apps simultaneously. Alternately, you can open the app’s page in a web browser and sign to the Store to get the Install on my devices option. Needless to say, that you must be using the same Microsoft account on all PCs to install apps using this method remotely. It’s worth noting that the Install my devices option might not be available for some apps and games. The feature is available for most of the popular apps though. Here is how to simultaneously install an app from Store on all your Windows 10 devices. Step 1: Open the Store app or open an app’s page in any web browser. Make sure that you are signed in to the Store. Step 2: If you are using the Store app, use the search field to open the app’s page. On a web browser, use a web search engine to open the app’s page. Step 3: On the app’s page, click on the three vertical dots icon (…) next to the Get button and then click Install on my devices option. Step 4: When you get the following screen, select your PC’s where you would like to install the app. Click the Install now button to install the app on all selected Windows 10 devices. If one of your devices is not connected to the internet or turned off right now, the app will be installed on that device as soon as it’s connected to the internet.